My first full time construction job was as an MEI (Momb Enterprises, Inc.) slave working for my framing contractor father and his brothers. 1970’s found T1-11 plywood siding to be very popular (as were disco balls) and we installed plenty of it. Where walls were higher than available panels of T1-11, one panel would be installed above another, between each was a thin Z shaped piece of galvanized steel flashing, known appropriately as Z-flashing. Now common sense would tell me this joint would need to have some sort of flashing to prevent water infiltration in any case. And yes, Hansen Pole Buildings does include Z-flashing where needed for horizontal joints in plywood sidings. 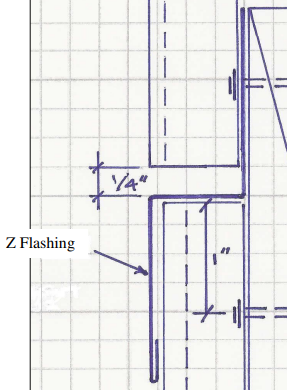 Galvanized Z-flashing, so-called because of its Z-shaped profile, keeps water from getting through horizontal joints between sheets of plywood siding. You set flashing upon top edge of each piece of plywood over a fat bead of caulk and hold it in place with just heads of roofing nails driven into sheathing. Don’t nail through flashing itself or it will eventually leak. Overlap ends of flashing by two or more inches and run a bead of caulk between them. And just before upper plywood panel becomes placed, caulk along top edge of metal as extra protection against water. 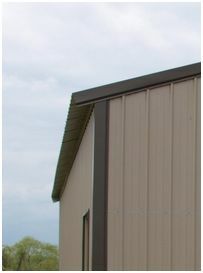 While I personally recommend using roll formed steel siding due to its longevity and cost effectiveness, some folks feel plywood siding will be their ideal design solution. For those, we provide proper and appropriate Z-flashing. This entry was posted in Pole Barn Questions, Pole Barn Structure, Alternate Siding and tagged International Building Code, galvanized steel flashing, T1-11 plywood siding, flashing on October 25, 2018 by admin. Whiskey Tango Foxtrot! Is It Ventilation? I really enjoy good food. In order to continue doing so and avoid weighing significantly more than I should, I do a treadmill run nearly every morning. To keep from expiring from utter boredom of exercise, I have wall mounted my flat screen LED television within easy viewing distance. With subscriptions to Amazon Prime and Netflix, I have yet to run out of movies and series to view. Most movie selections are either fairly old, or were box office challenged. One of these movies was 2016’s Tina Fay starring in Whiskey Tango Foxtrot, with a budget of $35 million and a box office take of $18.3 million. Well, this article isn’t about how Tina Fey carried this movie. To be precise, it’s a movie title conveying my expression upon doing some recent reading. Back in 2016 I had penned an article (https://www.hansenpolebuildings.com/2015/06/overhang/) mentioning a specific pole building company by name. A representative of this company recently contacted Hansen Pole Buildings’ owner Eric to let him know they did not appreciate being named. I was even kind enough to have included a live link to their website in my article, providing them with free press. While editing, I happened to peruse their website. When a Whiskey Tango Foxtrot moment hit me….. Under ‘Building Features’ I found this gem, “(Our standard roof to eave or gable design creates a fully ventilated structure making boxed overhangs an option, not a necessity)”. I had to read it several times to fully get my head around what I thought I had read. In order for this statement to be true, roof steel high ribs would need to remain unobstructed – allowing a free flow of intake air. This could possibly pose a challenge if one desires to keep small flying critters from entering a dead attic space. In my humble opinion, this attempted ventilation intake ranges from laughable to totally ridiculous. However, I have found, nearly anything can be spun to sound like a benefit. 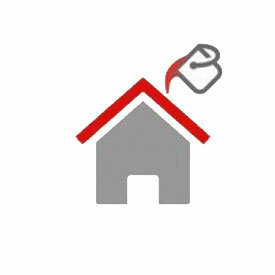 What should be happening between roof steel and eave strut – placement of an Inside Closure (https://www.hansenpolebuildings.com/2015/12/the-lowly-inside-closure/), to seal these openings. 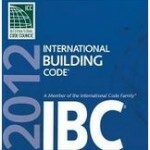 IBC (International Building Code) 2015 Edition tends to agree with me. 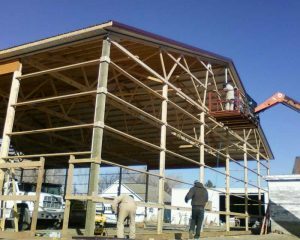 Thinking about a post frame building other than from Hansen Pole Buildings? Before possibly throwing away your hard earned cash, give us a call – if we feel someone else’s building has a better value than ours, we will be first ones to tell you to invest in it. This entry was posted in Pole Barn Design, Building Overhangs, Pole Barn Structure, Ventilation and tagged International Building Code, Ventilation, overhang, eave strut, Tina Fay on October 2, 2018 by admin. The Type of Construction for post frame buildings is typically Type V.
In some cases, a post frame building could also be Type III. Now head back to Chapter 5. In TABLE 504.3 we find the proposed building to be well under the wall height limitations for Type V-B buildings of 40’ without sprinklers or 60’ with. In TABLE 504.4 we find A-3 and U to be limited to one story without sprinklers, or two stories with sprinklers. Buildings with an R-3 category (residence) is three stories without or four stories with sprinklers. Might the partial second floor be a mezzanine? A mezzanine or mezzanines in compliance with Section 505.2 shall be considered a portion of the story below. Such mezzanines shall not contribute to either the building area or number of stories as regulated by Section 503.1. The area of a mezzanine shall be included in determining the fire area. The clear height above and below the mezzanine floor construction shall not be less than seven feet. If the second floor was 37 feet or less in length it might possibly become a mezzanine, which could alleviate some of the fire separation issues. This is provided the area below is not divided up into individual spaces. A mezzanine shall be open and unobstructed to the room in which such mezzanine is located except for walls not more than 42 inches in height, columns and posts. So, it does not appear the second floor will be able to be classified as being a mezzanine. Come back tomorrow for Part III of a four part series. This entry was posted in Pole Barn Design, Building Department, Pole Barn Planning, Building Contractor, Building Colors and tagged International Building Code, mezzanine, mixed occupancy, type III construction, type V construction on March 28, 2018 by admin. “ICC R602.10 is written to work with continuous foundations and vertical studs, not posts in holes and horizontal girts. How does a person translate bracing into post-frame language? There shall not be more than three stories above the top of a concrete or masonry foundation or basement wall. Permanent wood foundations shall not be permitted. Floors shall not cantilever more than 24 inches beyond the foundation or bearing wall below. Wall height shall not be greater than 10 feet. The building shall have a roof eave-to-ridge height of 15 feet or less. Exterior walls shall have gypsum board with a minimum thickness of ½ inch installed on the interior side fastened in accordance with Table R702.3.5. The structure shall be located where the ultimate design wind speed is less than or equal to 130 mph and the exposure category is B or C.
The structure shall be located in Seismic Design Category A, B or C for detached one- and two-family dwellings or Seismic Category A or B for townhouses. Where a building of otherwise conventional construction contains structural elements exceeding the limits if Section R301 or otherwise not conforming to this code, these elements shall be designed in accordance with accepted engineering practice. The extent of such design need only demonstrate compliance of nonconventional elements with other applicable provisions and shall be compatible with the performance of the conventional framed system. Engineering design in accordance with the International Building Code is permitted for buildings and structures and parts thereof, included in the scope of this code. Accepted engineering practice and in accordance with the International Building Code would lead your RDP (Registered Design Professional – Architect or Engineer) to utilize the NFBA (National Frame Building Association) Post-Frame Building Design Manual Second Edition. While it is possible a design utilizing tension ties could be done, it is probably far more practical to utilize the strength and stiffness of properly fastened steel panels to transfer shear loads from the roof through the endwalls to the ground. 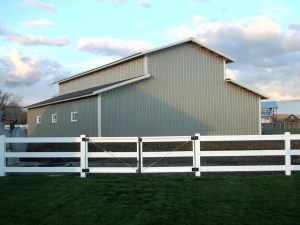 This entry was posted in Pole Barn Questions, Pole Barn Design, Building Department, Constructing a Pole Building, Pole Barn Planning, Professional Engineer, Pole Barn Homes and tagged International Building Code, Residential Building Code, tension ties, simplified wall bracing, engineered design on October 20, 2017 by admin. “Hi. Good morning! As I read your post about a wood floor in a work shop, it reminded me of my research into a garage with a wood floor. I have often wondered, can this be done? So I ask you, can this be done? I am not a rich man, nor do I have much money. I have to be frugal with everything I do and everything I do must be durable and last for a very long time, life hopefully. 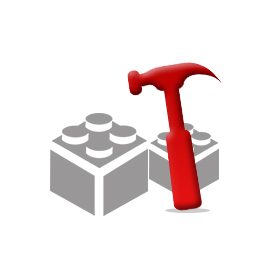 Hence I am pondering building the things I want in stages. The size up front will be 16×40. Maybe 20×40 if it’s not much more expensive. Later on, another building attached in the same size dimension ending with a 32×40 or a 40×40. I would not mind having space in the attic to do things with, but the space I gave you can be used wisely for that anyway. I will also tell you that I am not what the world considers a young man with a lot of time left on the Earth. I first and foremost need that garage. I look forward to your answer. I would even like to have a price quote. I live in a mobile home that I once was pondering turning into a house with a garage. But most articles tell me it is not a wise thing to do. 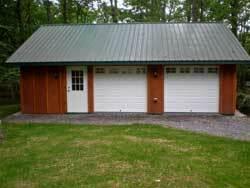 Yes, a garage can be built and designed with a wood floor. Whether or not it should be done is the true question – as it is not going to be an inexpensive proposition. At my home near Spokane, Washington, I have a post frame garage which is built on a steeply sloping hillside (14 feet of grade change across 24 feet of depth). While the under structure is wood, it does have a concrete slab poured on top of the framing. In hindsight, I would have used fire retardant treated plywood on top of the joists and then sealed the top surface of the plywood. I say this because the concrete slab, in my humble opinion, has not held up as well as I would have liked it to over the past 25 years (it has numerous cracks and sprawls). This 3,000 pound concentrated load, if it was based upon beams every 12 feet and joists every two feet would equate out to a uniform live load requirement of 125 psf. Garage floor parking surfaces must be made from approved noncombustible and nonabsorbent materials. FRTW (fire retardant treated wood)might meet with the approval. Engineered post frame buildings, for any use, are designed to last not only your lifetime, but many lifetimes to follow – so they are a great permanent investment. If the ability to get the most bang for your investment is important, my encouragement would be to borrow a small amount to enable you to get the entire building footprint you ultimately desire, rather than doing the building in two phases. It is always far more economical to do the project once, than in multiple phases and there will be savings both in materials as well as your time to assemble. 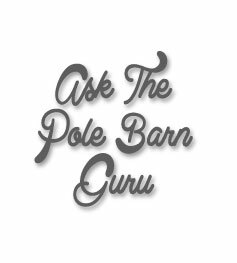 This entry was posted in Pole Barn Questions, About The Pole Barn Guru, Pole Barn Planning, Footings, Building Interior and tagged International Building Code, post frame garage, fire retardant treated plywood on September 12, 2017 by admin. 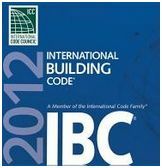 Every three years a new version of the International Building Code (IBC) is printed, which brings with it the latest and greatest information for building design as approved by Code Officials. State and local permit issuing jurisdictions then can either adopt or amend the Code as they best see fit. Even though the Code is updated on a three year cycle, some jurisdictions opt to continue to utilize earlier versions of the Code. Provisions for design loads are set forth in Chapter 16 of the IBC. There are significant changes to the design wind load requirements for fenestration between the 2009 IBC and the 2012 editions of the same code. These are due to significant changes to the wind load provision of ASCE (American Society® of Civil Engineers) 7 between the 2005 and 2010 edition. The design wind load provisions of the 2005 and earlier editions of ASCE 7 were based upon allowable stress design of building components. The intent of this method was to provide loads to which the building components had a fairly high likelihood of being exposed during the service life of the building. The building components were then designed to remain serviceable (i.e. not require replacement) when subjected to this load. The 2010 edition of ASCE 7 provides design wind load provisions which are based upon strength design of building components. This method provides loads which have a lower likelihood of occurring during the service life of the building. The building components are then designed not to fail (rupture) when subjected to this load. This change in methodology results in higher design wind speeds and pressures. At first glance, this might give the appearance of requiring higher DP (Design Pressure) ratings. In actuality, the 2012 IBC contains provisions to multiply this new, higher load by a factor of 0.6 for the purpose of conversion to the more traditional method of determining the design wind pressure based upon allowable stress design. It is very important the builder, code official, manufacturer and anyone else involved in choosing or approving the structural building design for a particular application understand the higher design wind pressure provided by the 2012 IBC must be multiplied by this 0.6 conversion factor. In most, but not all, cases this conversion results in required design pressure ratings which are roughly comparable to the more traditionally determined values. ASCE7-10 also provides three different design wind speed maps. The different maps are based upon the assigned Risk Category of the building being designed. There is one map for buildings whose collapse would present a low risk to human life, such as barns and storage facilities. There is a second map for buildings whose collapse is considered to be a moderate hazard to human life. Most buildings fall within this category. There is a third map for buildings whose collapse is considered a high threat to human life, and for those which are considered essential facilities. The former includes assembly or education buildings designed to house groups of 250 or more people, some medical care facilities and any other buildings designed to house 5,000 people or more. Essential facilities include occupancies such as hospitals and police and fire stations, which are essential during emergency response situations. Considering a new post frame (pole) building? If you are looking at a building which is NOT designed by a registered design professional (RDP – engineer or architect) then there is an excellent chance the person or persons involved in the design do not understand the changes brought about by the newer editions of the Code and you could end up with an under designed building. Under design can result in catastrophic failure – or even death. Don’t take the risk, demand an engineered building. Your life or the lives of your loved ones could be at stake. This entry was posted in Pole Barn Design, Building Department, Pole Barn Planning, Professional Engineer and tagged Building Code, International Building Code, IBC, ASCE, ASCE7-10, Wind speed maps on December 23, 2016 by admin. Another great and well thought out question, which is best answered at length. DEAR DAN: The IBC (International Building Code) vaguely addresses this issue: where the minimum per IBC Section 406.1.3 is stated as, “….The area of floor used for parking of automobiles or other vehicles shall be sloped to facilitate the movement of liquids to a drain or toward the main vehicle entry doorway….”. The command has been given. However the Code does not specifically give an amount of slope. The general consensus is the minimum slope should be 1/8” per foot. This would work out to exactly the 4.5 inches in 36 feet which you had guesstimated. The important part is to have the top of the slab at door openings be at the 3-3/4” of exposed skirt board left. I’ve come up with different solutions in different buildings of my own. In my oldest, small 22 x 24 garage, the floor is all sloped from front to back. In my two most recent buildings, central floor drains were installed and the floors slope to the drains. I have found I truly like having the floor drains. This allows the floor around the perimeter to all be poured to the same level, which aids in being able to apply inside finishes (such as gypsum wallboard) without the need to custom cut every piece – so it is easier to construct. This also minimizes the overall slope amount, as your 36’ floor could drop the 1/8” per foot in 18 feet for 2-1/4”. By excavating down, instead of having to build up, the amount of compacted fill is reduced (again saving money). I also happen to live where it is below freezing for more months than I like to think about. By having a central floor drain, I can wash my vehicles in my nice heated spaces and have the wash water go down the drain, as opposed to forming an ice dam in front of my doors. 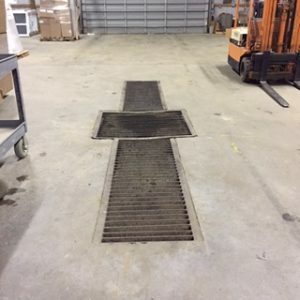 This entry was posted in Pole Barn Questions, About The Pole Barn Guru, Concrete, Footings, Building Drainage, Building Interior and tagged International Building Code, concrete slab, floor drains on December 7, 2016 by admin. From time-to-time you might see the term NDS® (National Design Specification® for Wood Construction appear in my blogs, and it is referenced on every set of Hansen Pole Buildings plans, as well as within the International Building Codes. In the early part of the century, structural design with wood was based on general engineering principles using working stresses or design values published in engineering handbooks and in local building codes. These design values were often not in agreement, even for the same species of wood. Further, on most cases, the assigned values were not related to lumbar grade or quality level. To meet the growing need for a national standard of practice, the Forest Products Laboratory, an agency of the Forest Service, U.S. Department of Agriculture, prepared a guide for grading and determining working stresses for structural grades of timber. It provided basic working stresses for clear, straight-grained material of the important commercial species and presented strength ratios for adjusting basic strength values for each species for the effect of any size and location of knots or other natural characteristics permitted in a structural grade. The basic stresses and the strength ratios established in Miscellaneous Publication 185 were based on extensive test data for small, clear specimens and structural timbers obtained from over twenty years of testing and evaluation at the Forest Products Laboratory. In 1934, the National Lumber Manufacturers Association (now the American Forest & Paper Association assembled the information given in Miscellaneous Publication 185 and working stresses derived therefrom together with engineering equations and other technical information on wood in the publication “Wood Structural Design Data” (WSSD) Included as supplements to the publication was design information for timber fastening. A major component of the WSSD was extensive span and load tables for various sizes of timber beams and columns. With the initiation of World War II, the need for a comprehensive national design standard for timber structures, including wood connections, became more urgent. The Technical Advisory Committee of the National Lumber Manufacturers Association undertook a more than three year effort to develop the necessary specification in close consultation with the Forest Products Laboratory. The result was The Specification for the Stress-Grade Lumber and It’s Fastening. The Specification included allowable unit stresses fort stress graded lumber, design formulas, and design loads and provisions for timber connector, bolted, lag screw, nail and wood screw joints. Also included were guidelines for the design of glue-laminated structural members. Despite numerous revisions since 1944, the scope of the Specification has remained essentially unchanged. To an increasing degree in recent years, the results of research conducted at universities and other private and public laboratories, in Canada and other countries as well as the U.S.have been utilized to improve the Specification as a national standard of practice for wood construction. In 1992 NFPA (National Forest & Paper Association) was accredited as a canvass sponsor by the American National Standards Institute (ANSI). The Specification subsequently gained approval as an American National Standard with an approval date of October 16,1992. And there you have it, years of testing and revisions to the Specification, which is the basis for the engineering which goes into every Hansen Pole building kit package. This entry was posted in Lumber, Pole Barn Design, Building Department and tagged International Building Code, National Design Specification, wood stress, American Forest & Paper Association on July 29, 2016 by admin. CLT isn’t in the Building Code – wrong, CLT panels have great potential for providing cost-effective building solutions for residential, commercial, and institutional buildings, as well as large industrial facilities in accordance with the International Building Code. In 2015, CLT will be incorporated into the International Building Code (IBC). The IBC recently adopted ANSI CLT Standard PRG 320 into the 2015 IBC, so you can request a design review based on it now and submit it as an alternate material, design and methods (AMM). It is wood, it burns – Like using a few 12-inch-diameter logs to start a camp fire, mass timber does not catch fire easily. In fact, CLT acts more like concrete. Mass timber is not conventional so it is very hard to light, and once it is lit, it wants to put itself out. A research project recently completed at FPInnovations showed CLT panels have the potential to provide excellent fire resistance, often comparable to typical heavy construction assemblies of non-combustible construction. CLT panels can maintain significant structural capacity for an extended duration of time when exposed to fire. It takes a specialized crew – Keep in mind, CLT is just another form of glue laminated timber (glulam). It is just wood, so it designs and builds on the earlier technology. CLT panels, like other industry panels (precast concrete or SIP panels), provide easy handling during construction and a high level of prefabrication facilitation and rapid project completion. A conventional wood installation crew with other panel experience can lift, set, and screw down CLT panels, and with a manufacturer provided installation plan, it goes even faster. It isn’t environmentally friendly – CLT is manufactured 2×6 lumber from trees harvested from sustainable managed forests, and mostly Mountain Pine Beetle kill trees. If we don’t use them, they decay and emit carbon back into the atmosphere. Wood is also the only primary structural material which grows naturally and is renewable. In fact, according to “Sustainable Forestry in North America,” during the last 50 years less than 2% of the standing tree inventory in the U.S. was harvested each year, while net tree growth was three percent. It is expensive – When considering the total in-place value of a CLT system, it is cost competitive to other plate building materials. But you also need to consider all the value added benefits.More savings can be found in the reduced installation cost, usually 50% cheaper than installing other plate materials.With an earlier project completion date, you are open for business sometimes months ahead of schedule. The building structure will weigh less than half the weight of other construction types, so the foundation costs less money. Job site safety is dramatically increased due to the prefabricated CLT panels and usually the only power tools are pneumatic drills. The intent of CLT is not to replace light-frame construction, but rather to offer a versatile, low-carbon, and cost-competitive wood-based solution which complements the existing light frame and heavy timber options while offering a suitable candidate for some applications which currently use concrete, masonry, and steel. they are not a practical design solution for most post frame applications. However, if you want to construct a wooden skyscraper, CLT might be just the thing! This entry was posted in Lumber, Pole Barn Questions, Pole Barn Design, Building Department and tagged Building Code, International Building Code, CLT panel, engineered wood panel on June 21, 2016 by admin. Today’s example happens to come from the State of Michigan, however it could happen in any Building Permit issuing jurisdiction in the U.S.
What is most interesting to me about this particular example is, last November I was invited to be a presenter at a meeting of Building Officials representing pretty much the northern half of the non-UP (Upper Peninsula) portion of Michigan. The topic was how the Building Codes apply to post frame (pole building) construction, and it was determined as a resultant, the Building Code could not be applied directly. Let’s have some fun with plan reviews, shall we? All exterior walls shall be supported on continuous solid or fully grouted masonry or concrete footings, wood foundations, or other approved structural systems which shall be of sufficient design to accommodate all loads according to Section R301 and to transmit the resulting loads to the soil within the limitations as determined from the character of the soil. Footings shall be supported on undisturbed natural soils or engineered fill. Following this section of the Code is a Table which gives footing requirements for conventional light-frame construction, 4-inch brick veneer over light frame or 8-inch hollow concrete masonry, or 8-inch solid or fully grouted masonry. The Code reference does not address footings for isolated, widely spaced columns. The Table referenced is for exterior bearing walls in stick frame construction, where the dead load weights of shingles, roof sheathing, and gypsum drywall must be accounted for. 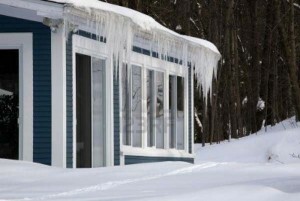 It also is based entirely upon ground snow loads, without factoring in the allowable adjustments for this particular building being heated, as well as having a slippery steel roof. Footnote for most of my readers who are in parts of the country where trusses are attached directly to the columns – this particular pole building is designed with a single truss every four feet, sidewall columns every eight feet and a header (aka “carrier beam”) attached to the columns to support the trusses. The Table is also based upon a uniform load, which would be applicable for instances where trusses were placed every two feet (ala stick frame construction). Instead the carrier beam, is supporting a concentrated load at the center and every other truss rests directly on top of a column. This effectively reduces the load being carried by the beam by 1/3! Think of the load applied from a truss at two foot centers as being X. In an eight foot area, there would be an X at two, four and six feet or 3X. A truss at four foot only would carry twice as much load as a truss at two feet, or 2X. 2X divided by 3X = 2/3. In my humble opinion, the Plans Examiner meant to reference R 602.3 which lists fastener schedules in Tables. The Tables do not even begin to address the connections found between a “carrier beam” and a column. The Plans Examiner appears to have possibly neglected to note the design presented has the carriers notched into the faces of the bearing columns, resulting in only enough fasteners being required to resist the uplift loads. Buildings and structures, and all parts thereof, shall be constructed to safely support all loads, including dead loads, live loads, roof loads, flood loads, snow loads, wind loads and seismic loads as prescribed by this code. The construction of buildings and structures shall result in a system that provides a complete load path capable of transferring all loads from their point of origin through the load-resisting elements to the foundation. But what about a diagonal brace? The entire concept of a diagonal brace in a wall is to assume the siding (in this case steel panels), lacks the ability to carry the shear loads being applied to the building. Going back to the assumption of the siding not being able to carry the load, the building being reviewed has 1841.8 pounds of shear force being transferred to each endwall. Keeping things simple, let’s look at what it takes to even attach the suggested braces. Generously assuming each brace would carry ½ of the applied load, each end of each brace must be able to have a connection adequate to carry around 921 pounds of force. A three inch long 10d common nail (3” x 0.148” diameter) driven through a 1-1/2 inch thick member into another member (assuming the weakest commonly used framing species) will support roughly 128 pounds. It is going to take a lot of nails in a very small area to make the connection work. To have made this entire process quick, easy and simple for all involved, and to keep the Building Permit issuing authority out of the potential liability problems for being possibly construed as becoming the engineer of record, would be to simply require all pole building plans to be submitted with the seal of a registered design professional (engineer or architect) as well as the supporting calculations. Which is exactly what this particular client opted to do. Case closed. This entry was posted in Building Department, Professional Engineer and tagged International Building Code, building officials, Building Plan Review, Michigan Building Code on October 29, 2014 by admin. Are Building Codes Changed too Often? Imagine, if you will, the Bible being revised every three years. Once the revisions were accepted by the scholarly experts and the newest version was printed, each division of Christianity could decide if and when they wanted to adopt the newest version and they could also edit it as they pleased. Once your church approved a version, it would be up to you and your fellow believers to have to learn it all over again. Sometimes changes would be small, other times large. And about the time you figure it out – there would be another new version. Well, this process is the way the International Building Codes work. Every three years, there is a new version available. Building Officials, Architects and Engineers, as well as builders get to learn everything all over again! The NAHB (National Association of Home Builders) and the AIA (American Institute of Architects) have written to the ICC (International Code Council), recommending a longer interval between published Code revisions. The feeling is it would make it easier and less expensive for those affected, as well as easier to manage the changes. 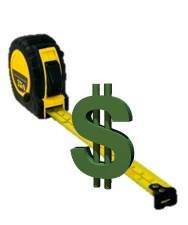 Right now, we have a client who purchased a pole building kit last Spring. When he placed his order, the applicable Code version in his state was the 2009. July 1, his state adopted an amended version of the 2012 Code. He did not apply for his permit promptly, so had to have an entirely new set of plans and calculations produced. Among changes between the versions of the Code, was an increase in design wind speed from 85 to 115 mph (miles per hour)! While there is some push to increase the time frame between Code versions, it probably will not happen. The reason for frequent changes is the rapid outmoding due to new technologies and building practices. Think of it this way, a cell phone purchased today will be easily obsolete in three years – same goes for building codes. What can you do so you don’t end up like our client? Make sure there are no “lag times” between the time you first talk to the building department about what building code design criteria you need to follow, the time you purchase your building, and the time it’s constructed and “final inspection” is done. And keep in contact with your building department should you encounter any delays. This entry was posted in Building Department and tagged design criteria, International Building Code, Building permit, building deparrtment, National Association of Home Builders on December 6, 2013 by admin. For those of you who are dedicated long term readers, I thank you. I’ve preached this subject more than once – but the message hasn’t gotten through to everyone yet. I will attempt to avoid boring anyone. 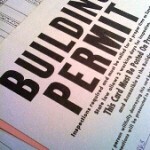 There are over 7000 building permit issuing jurisdictions in the United States. A full time employee, calling each of them for their most current code and load information, would need to reach and get data from nearly four an hour – for an entire year, and then it would be time to start all over again! 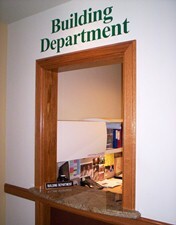 “You must confirm all code/design criteria with your Building Department prior to placing your order. Now my Dad used to tell me, “You can lead a horse to water, and if you hold its head under long enough, it will drown”. Such may be the case with design criteria. Many clients not only follow instructions, they have done their homework in advance! They have contacted their Building Departments for information, before they even started pole building shopping. We love these people! They are prepared. Most of the rest, follow instructions well – they happily contact their Building Department and verify the information before ordering. We love you as well! Then there are the very small percentage who make assumptions….well, we know where assumptions lead to. A real life example occurred recently. Client ordered a building kit and thought the roof snow load was to be 35 psf (pounds per square foot). Way too late into the game (prefabricated roof trusses had been delivered to the jobsite) the Building Department tells the permit applicant, “Oops”! With the right information verified in the beginning, the cost difference would have been minimal. Many times, truss repairs to add five psf of load are fairly affordable. Not in this case – many of the wood members, as well as the majority of the roof truss metal connector plates were originally close to being fully stressed in the original design. For practical purposes, another truss needed to be added to every truss set, in order to meet the slightly higher loads. Here is a case where ten minutes of the customer’s time to verify, would have saved well over a thousand dollars! 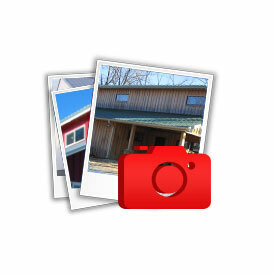 Plan ahead with your design criteria using our helpful Pole Barn Planning Guide. 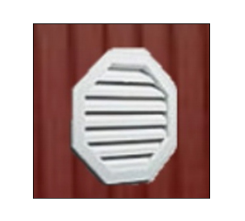 This entry was posted in Pole Barn Design, Pole Barn Planning and tagged pole building, Building Code, International Building Code, Buiding Department, Post Frame Building Code on November 21, 2013 by admin. Every six months the International Code Council (ICC) provides updated Building Valuation Data (BVD) to its members. The BVD table provides the “average” construction costs per square foot, which can be used in determining permit fees for a jurisdiction. 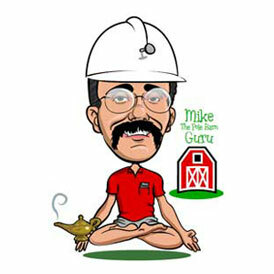 The Square Foot Construction Cost does not include the price of the land on which the building is built. The Square Foot Construction Cost takes into account everything from foundation work to the roof structure and coverings but does not include the price of the land. So……what is a new building’s value? Private garages are to be valued as an IBC (International Building Code) Section 312 “Group U” utility and miscellaneous structures. V-B is the least restrictive building type with regard to materials. V-B structures can be built out of any material and it doesn’t need to be rated. It is also the most restrictive in terms of size restrictions in IBC Table 503. A finished V-B Group U structure has a valuation of $39.83 per square foot. If the building is a “shell only”, then 80% of this value would be used ($31.86 per square foot). 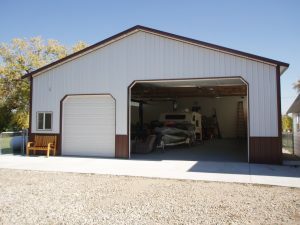 Putting up a standard two-car garage 24 feet square? The valuation would be $18,351. 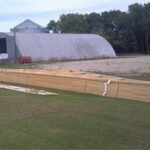 A 30’ x 40’ shop? $38,232. Looking at these valuations, a post frame (pole) building is a tremendous bargain, and a great way to add instant equity to a property! Get a quote on a pole building kit package, add in your other costs (HVAC, etc.) and I believe you will see dollar signs – going into your pocket, instead of out. This entry was posted in Pole Building Comparisons, Building Department, Pole Barn Planning and tagged International Building Code, Square Foot Construction Cost on October 15, 2012 by admin.